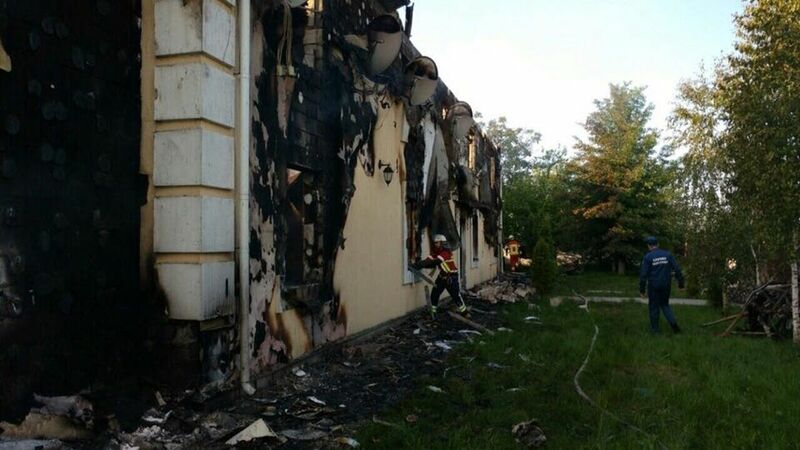 Sixteen people have been killed and one is missing after a fire broke out in a residential building housing elderly people in a village near Kyiv, Ukraine's state emergency service said in a statement on Sunday, according to Reuters. It said the fire broke out in the early hours of Sunday morning in a privately-owned two-storey building that was temporarily housing 35 people in the village of Litochky, 37 km (23 miles) northeast of Kyiv, Reuters wrote. Read alsoPowerful explosion destroys five garages in Kyiv"Emergency services units saved 18 people, five of whom have been hospitalized with burns of varying degrees of severity," it said. The fire was localized at 05:25 a.m. local time, it said. It was completely put out at 08:25 a.m. local time.